The North Yorkshire settlement of Settle may have been populated by Angles in the 6th century and there are prehistoric remains amongst the limestone hills nearby. Settle is well known for its position on the Settle to Carlisle railway, where steam trains still run on occasion, beware the station is well south of the town centre. The railway was opened in 1875 but Settle was connected to the rail network 25 years before that via a road link to Giggleswick station. Long before railways and possibly even wheels, the land was inhabited by wild animals and our ancestors. Victoria Cave contained remains of mammoth, bear, reindeer and hippopotamus as well as stones, flint, bone and other implements and ornaments. Set in the midst of great walking country, Settle is a bustling center for tourists and day trippers. For that reason there are numerous cafes, tea shops and pubs offering refreshment. 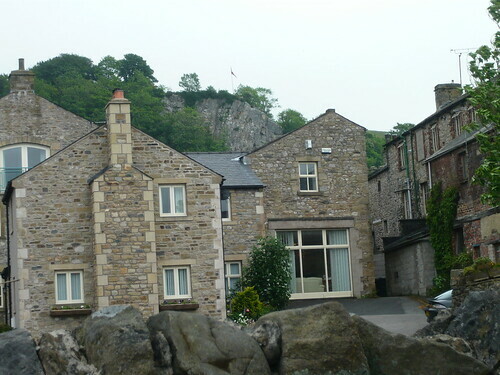 The river Ribble provided the power for Settle’s former cotton and paper mills and now is a base for many walks. Try the three peaks if you want a tester. Overlooking the town is Castlebergh, an impressive 300 feet limestone crag which flies the flag even when England are not in the world cup. In keeping with a modern town new features have been added. 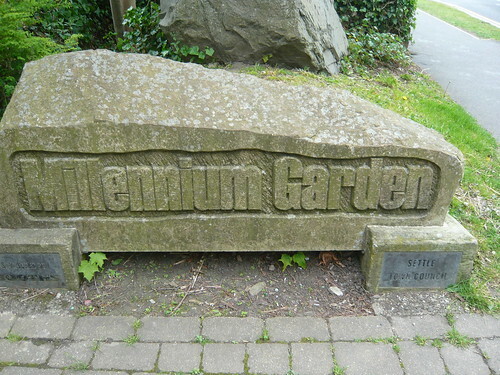 The Millennium garden is a small tranquil place spoilt only by the nearby eponymous supermarket run by the upmarket Booths chain. This hasn’t spoilt the local shops and my wife enjoys the local wool shop whilst I haunt the secondhand book shops.Victoria Hall is a lively theater and community focal point nearby. Queen Victoria gets a good press in Settle as her reign was the great era for Settle’s tourist tourist trade. Look out for appropriate victoriana. Market day on a Tuesday in hectic. Buses and coach trips visit Settle on other days as well but if you want peace and quite get on your walking boots and head for the hills. 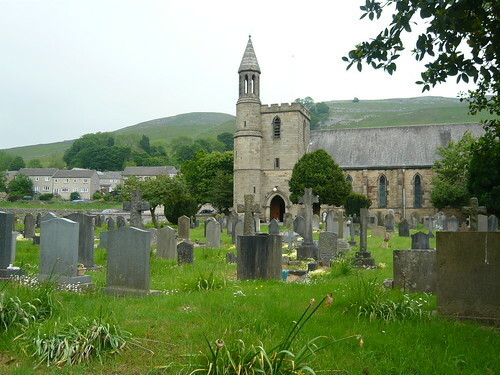 The church is set under the hillside not far from the Ribble. I was taken by the use of the church grounds to grow rhubarb and other edibles under the protection of the church walls, to say nothing of the surrounding hills. The best known cafe is The Naked Man in the square. One of the original ‘comedians Ken Goodwin ‘ had a catch phrase ‘Settledown now Settledown’ and for a longtime there was a greasy spoon cafe with that catch name. George Birkbeck the founder of Mechanics institutes was born in Settle. 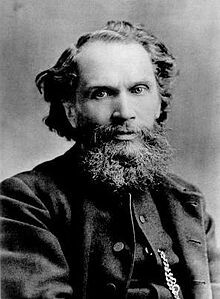 His monument is in St Akelda’s church in Giggleswick. All that is left to do after a bracing walk is Settle down in Settle at the ‘Settle Down’ cafe named after, getting married, a comic catch phrase or resting prior to going to sleep. Alternatively it is one of the good pubs for a Yorkshire pint. As a Yorkshireman, I’ll say: great blog! I was in the Old Naked Man Cafe, a couple of weeks back, always a restful stop before heading down the dale toward home.